Civil Rites begins at dawn on Newcastle’s Town Moor, an historic site in the city for public protest and gatherings. A long, fixed camera shot of the foggy field is accompanied by a harmonica, played by a local busker whom Zimmerman befriended during her research for the film, and the sound of lapping waves. As the day moves forward with indifferent consistency, Zimmerman presents the viewer with a series of single shots of locations across the city and the surrounding area: a burger restaurant, a job centre, pubs and the damp alleyways behind them, a collection of bins being collected outside a night club, a quiet cemetery, a housing estate, and grand municipal buildings. Each shot is accompanied by a caption identifying each place as the site of a political action. Zimmerman drew on research undertaken by the research group Radical Tyneside and work by Northumbria University Professor Brian Ward on Newcastle’s role in anti-slavery freedom struggles before Dr King’s visit. Tyneside residents raised funds to support the former slave Frederick Douglass in the 1840s and hosted abolitionist lectures by Olaudah Equiano and Thomas Clarkson in the late 1700s. The sites of interest that Zimmerman draws attention to speak to a practice of radical collective action and community engagement in the North East that stretches back centuries. As viewers we wander between apparently unassuming sites that played host to protests against the war in Vietnam in the 1960s, welcome meetings for refugees from Hungary in the 1870s, tensions with newly-arrived Yemeni workers in the 1930s, splash-ins against pool closures in the 1970s, women’s safe space events and radical feminist organising in the 1970s and after (complemented by a display of feminist posters in the gallery entrance), street provision for the homeless in the early 2000s, and strikes against job losses by keelmen on the Tyne in the 1810s. Many have moved from being publicly-owned spaces to commercial ventures like shopping centres and chain restaurants. 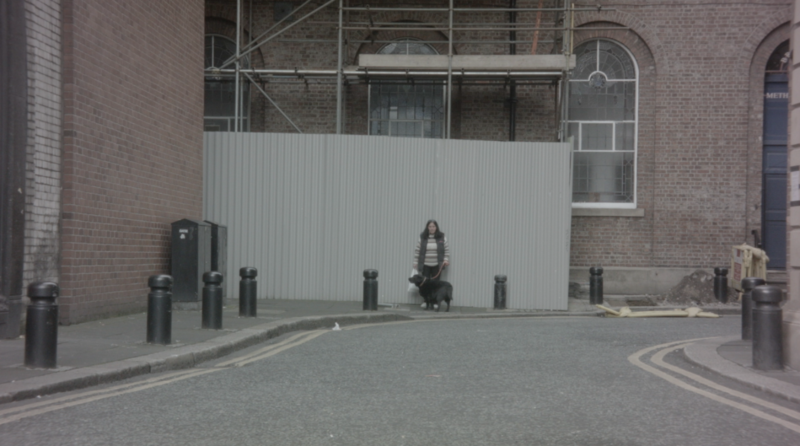 Figures and faces are incidental to this footage; passers-by, dog walkers, refuse workers cross the frame but are not a point of focus. Instead, Zimmerman has collected responses from over twenty five interviews with long-term and recent residents of the area, homeless citizens, community organisers, and educators among them, who share personal stories of exclusion and activism. Each was asked three questions: What does the word poverty mean to you? Why does racism exist? Why do you think war has not been eradicated? Their responses play as a voiceover, calling attention to continued social and political challenges stemming from austerity, nationalism, and sexism. 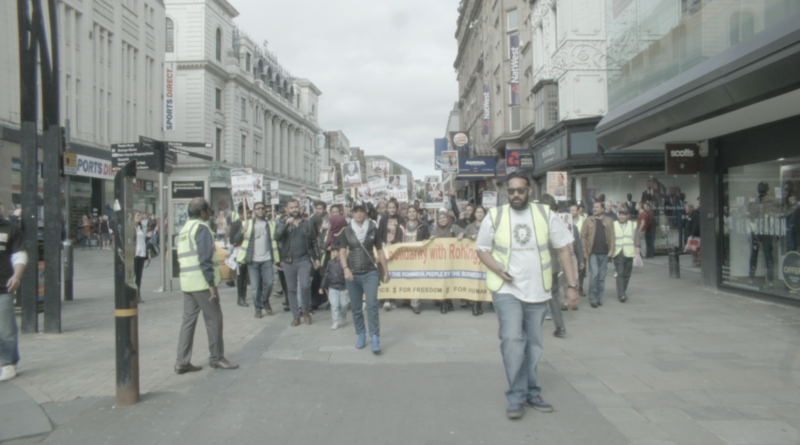 Civil Rites’ litany of activist city sites concludes with a march through Northumberland Street in December 2017 in protest at the treatment of Rohingya Muslims in Myanmar. Many of the events that comprised Freedom City emphasised the contemporary resonance of King’s speech, and the festival’s focus on the singular brilliance of King and the material effects of his short visit to the city in 1967 has tended to prioritise individual accomplishments over collective struggle, a potentially reductive retelling of the civil rights movement. In Civil Rites, Freedom City’s structuring principle of one man’s remarkable resistance is deconstructed. The frame of the icon is dismantled and in its place Zimmerman constructs a more nuanced and collective response to racism, colonialism, sexism, homophobia, poverty, homelessness, and the systemic violence of austerity both past and present. Tyneside’s rich mining and shipbuilding histories are noticeably absent. As stories that speak to the importance of union organising for local residents and the area’s cultural identity more broadly, this seems an unusual oversight. Importantly, however, Zimmerman’s archive of sites of collective action doesn’t obscure those importance political narratives through omission since the film’s narrative is shaped by a non-chronological sharing of radical gestures across time. Its history of collective radicalism is inherently partial and open-ended. The motif of lapping waves sounds throughout the film, an allusion to the racist violence of the middle passage, the sea across which King and other anti-racist activists travelled to Newcastle, and, metaphorically, to the ocean as a connective tissue bonding time periods, political struggles, places, and people. Zimmerman describes her work as ‘cultural activism’ informed by an interest in the politics and aesthetics of ‘gentleness’. Rather than forgetting that Tyneside’s politics and sense of collective identity has been shaped by the fates of shipyard workers and miners, Zimmerman suggests that these politics were not unique to twentieth-century union men. That radicalism has been a shared experience. Her map of the city intentionally creates space for histories of radical feminism, abolitionist struggles, and refugee communities in the North East. Compassion and care underpin this film and its politics. 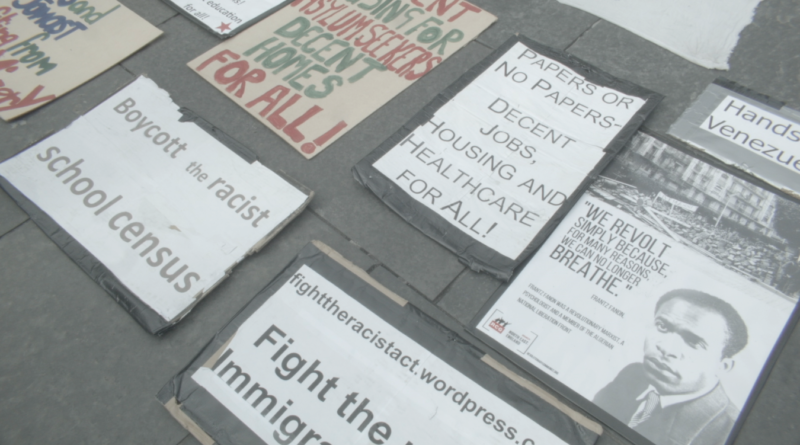 Perhaps most importantly of all, by foregrounding the experiences of women, children, people of colour, and the homeless, Zimmerman’s filmic archive of the radical North East counters popular perceptions of the towns and cities along the Tyne and Wear as long time white enclaves and inevitable harbingers of racism and xenophobia. Of course, awareness of this long history of community-building, feminist world making, and anti-racist collective action is not enough to prevent a rising tide of conservative nationalist sentiment and a neoliberal privatisation of the city’s public spaces. 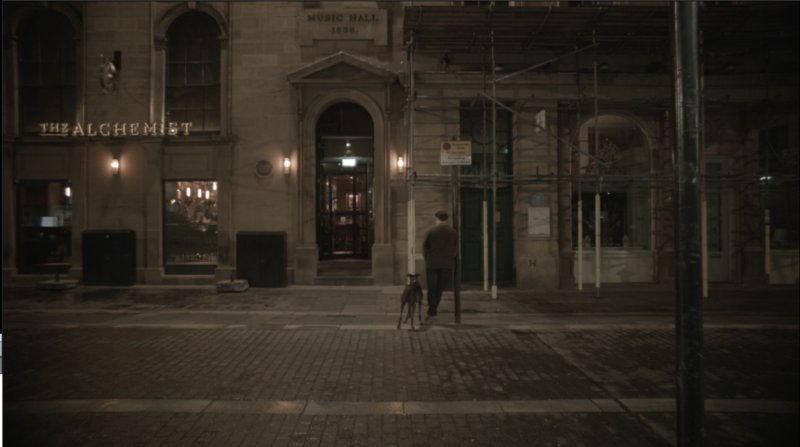 As the film returns at dusk to the Town Moor, Zimmerman leaves us with an impression of a city empowered and haunted by its radical inheritance. Why are we here, if not for each other? Fiona Anderson is Lecturer in Art History in the Fine Art department at Newcastle University and UK Principal Investigator for Cruising the Seventies: Unearthing Pre-HIV/AIDS Queer Sexual Cultures (CRUSEV), a three-year research project financed by the European funding agency HERA, under HERA’s ‘Uses of the Past’ theme.